There used to be a large number of fraternal organizations. 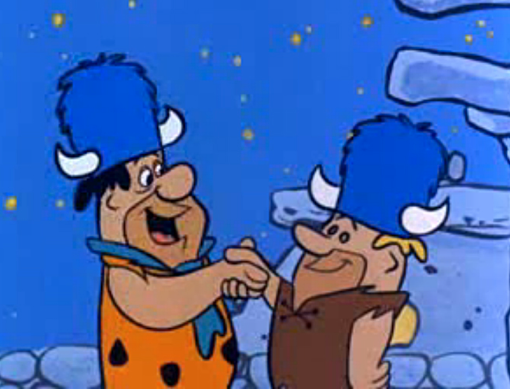 Perhaps the oldest one is the Loyal Order of the Water Buffalo which dates back to prehistoric times. I'm kidding, of course, but in truth there were a large number of fraternal organizations formed after the US Civil War in the 1860s. It was a popular way for veterans to get together in companionship and brotherhood. Other organizations formed as a result of immigration from specific countries. These societies offered a sense of community and security, as immigrants usually worked in dangerous occupations and members promised to take care of each others's widows and orphans, should calamity occur. One of the oldest fraternal organizations is the Order of Free Masons, or Freemasonry. It dates back to the 17th century, perhaps even longer, depending on who you ask. It's often referred to as a secret society, as members are sworn to secrecy about some of their activities. Over the last 150 years a lot of fraternal organizations faded away but the Masons are still around, along with a few others. I myself am a member of the Knights of Columbus, another fraternal organization. Today's fraternal organizations do a lot of charitable service work. For example, a Masonic group, the Shriners, are well known for providing free care at children's hospitals. The Masons must have had a significant enough presence in the 1940's through the 1960's to justify the inclusion of Masonic dials on a lot of Hamilton models. Instead of numbers or markers, the dials featured various Masonic symbols. What do the symbols mean? Beats me, it's a secret. An example of a catalogued Masonic model is the 1965 Thin-o-matic T-414. The T-414 was available through 1967. The T-414 was available with a "regular" dial with numerals and markers or with an alternative Masonic dial. The case is 10K yellow gold filled and was paired with either a special bracelet or a strap. I recently received a T-414 from a fellow collector and it came with it's original bracelet. As received it looked to be in good shape but it wasn't running and the crown was unattached. Even though the crown appears in the photo below, it's just held on by the case's stem tube. The back of the case is pie-panned shaped and that's a clue that this Thin-o-matic doesn't have a micro-rotor movement inside. Instead it likely has a Hamilton 623 movement made by ETA. The watch opens through the crystal and, sure enough, there's a 17 jewel 623 inside. This movement is based on an ETA 2520 grade. Can you see the stem? Maybe not, most of it has rusted away. YIKES! Although most of the movement looks okay, there's a lot of rust along the side and one of the dial foot screws is nothing but a rusty mess. The female side of the two piece stem is just a couple of rusted prongs - so it will need to be replaced, assuming it can even be removed. The other dial foot screw is also rusted but at least I can sort of see it. The first challenge on this watch is to figure out how to get the dial off without ruining it. I sprayed a dollop of penetrating oil on the rust and did my best to loosen things up but I didn't get too far. However, I was able to gently pry the dial off without losing the dial feet in the process. So that's a major milestone. Wow - it's hard to believe that this much rust can be so localized. There are about 5 or 6 parts in this tight area that have been destroyed and will need to be replaced. Fortunately I have a spare parts movement to use, so between the two movements I should be able to cobble together a working example. The 623 and the 624 (with date complication) take a special stem. I had to order one and I was lucky to find it - it was discontinued long ago. I'll also need the male side to thread into the crown. This side needs to be trimmed to the proper length depending on the case design. So I'll trim it when the watch is near finished. The basic movement is reassembled and ticking away nicely. Not too shabby, according to the timer. On most movements I'd call it a day but this movement is so easy to adjust that I'd feel guilty if I didn't try to tune it in even further. There... that's pretty much right on the money now. A trip to the spa did this unique watch a lot of good. It's interesting that the dial does not say Automatic on it. Go figure. It's also interesting that it has four applied gold dots and the rest of the markers are printed Masonic symbols. I wonder if there's a reason for that? I could ask a Mason but they probably won't tell me... ha ha! I sell most of them but they have to be mine to sell, and this one wasn't. Dan, I laughed hard at the Loyal Order of Water Buffalo line. Thanks for that! It’s hard to say for sure. Value depends on condition and service history. 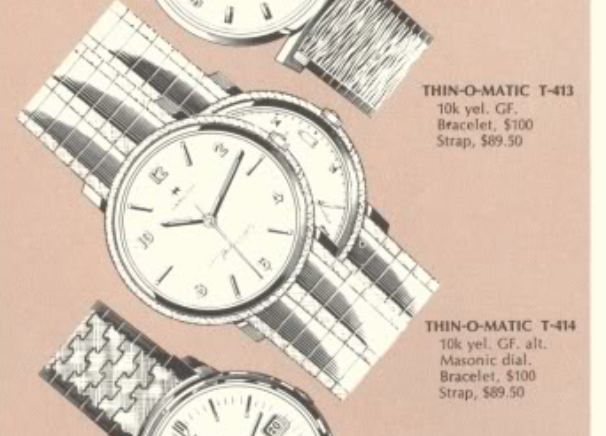 Typically a watch in “as-found” condition and in need of an overhaul can be valued in the $75-$100 range. Once it’s all fixed up and showroom-ready you could add $200 or more. Hello Dan, I have a 623 Movement and dial in nice condition but the case is a mess. Do you know what cases the 623 movement would fit in or is it limited to the T-414? Lots of models used a 623 but that doesn’t mean the dial will fit too. Any case that fits a 623 will probably come with a 623 in it. So what you have is a spare 623.